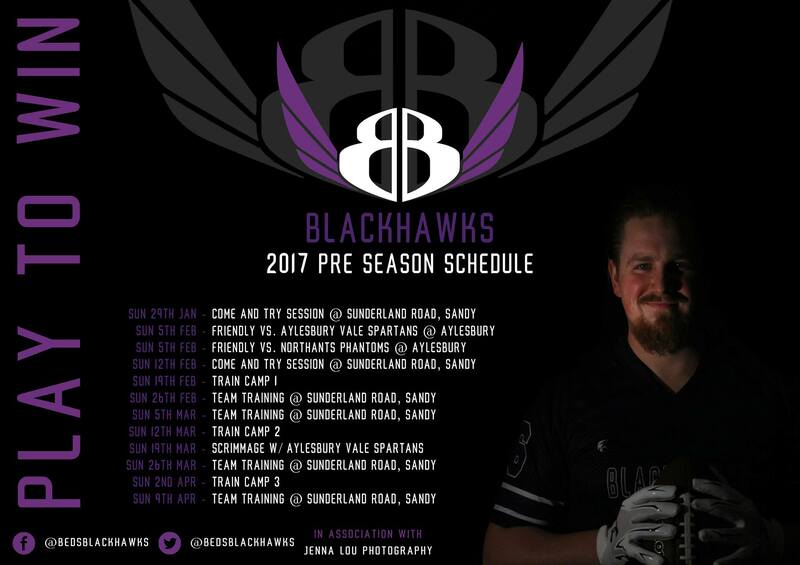 The Blackhawk’s 2017 preseason schedule has been confirmed, and includes come and try sessions, training camps and warm-up games. ‘Come and Try’ sessions for new players will take place at Sunderland Road, Sandy this Sunday (29th January) and Sunday 12th February, either side of friendly games against Aylesbury Vale Spartans and Northampton Phantoms in Aylesbury. Three training camps (location to be confirmed) will take place on 19th February, 12th March and 2nd April.